Ah, good ol' Mr. Butts. I was glad to see him in the strip on Sunday, selling cancer sticks to the kids. What a nut. I actually have the ashtray that's pictured in the second-to-last panel, which was part of the Great Doonesbury Sellout, based right here in Sausalito. How about you run an FAQ series about Mr. Butts' very first appearance in the strip, which I think was about a zillion years ago. Thanks! Close. It was 1989. Duke was the skipper of Donald Trump's yacht, J.J. was painting murals in the vessel's bathrooms, Honey was post-Tiananmen China's #1 Most-Wanted Hooligan, Andy Lippincott was still alive, and Mike was working in the World Trade Center, struggling to build a career as an ad-man. ENTER MR. BUTTS. While we're at it, check out "Mr. Butts Goes to Washington" -- a 1995 public service announcement produced by Harry McCoy for the Massachusetts Department of Public Health. As McCoy notes, he quit smoking shortly thereafter. And here's the ashtray. Butts has appeared in the strip many times over the years, and on beach trashcans in Santa Monica, California, helping publicize the city's anti-smoking ordinance. He appeared on the cover of the Journal of the American Medical Association, served as spokescigarette for the American Cancer Society's Great American Smokeout, and had his name used as a pseudonym by an anonymous source who sent 4,000 pages of incriminating documents which were used in legal action against the tobacco industry, as chronicled in The Cigarette Papers. Okay, my tastes may seem a little weird, but as long as the strip is wallowing in the 70s, I would love it if you would please revisit the whole Energy Czar caper, which took place during the 1973-1974 oil crisis/embargo, and gave Mark a chance to revisit his glory days as an activist. It also involved the ancient and dying art of hitchhiking. Can do? Can and shall. Your wish is our command. Read it HERE. When I saw Duke's denunciation of John Denver in the recent Classic, it reminded me that there's always been bad blood there; it's come up more than once in the strip. Care to give us the backstory? The Ray Hightower sequence your excellent memory has referenced appeared in the summer of 2010, and was followed by a Mel-and-Roz-packing-up-the-helos series a year and a half later. You can read both HERE. Speaking of Time magazine (in today's Daily Briefing), it looks like you are skipping past the storyline where Roland writes about the Walden communards and puts Zonk on the cover. How about revisiting that, with the memorable "Peyote and clam dip" line? An excellent idea. As it turned out, two years later the Doonesbury cast actually was on the cover of Time. The sequence about Roland's story also includes the line, "You guys are still hippies!" -- and it was only 1974. Time flies when you are having too much fun. A few weeks ago you featured the famous strips about Mark Slackmeyer's radio show and Watergate, but I'd love it if you would also re-spin some of the other really early "Marvelous Mark" stuff, when he was just starting out. As I recall, there were a lot of dedications, including one to Bertrand Russell. A request we are happy to honor: The future-legendary NPR star first took to the Walden airwaves on WBBY in February, 1973. 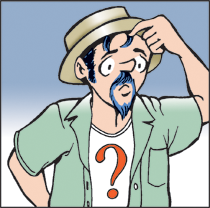 I'm enjoying the Classic Doonesbury strips, but wish they weren't going by so fast. You are skipping all kinds of good stuff -- like Zonker getting busted, for example. Could you please revisit that? I'll ask a few more times if it helps. Once is enough. You've asked; you shall receive. Just click here.